Need Great Concrete Overlays in College Station? Exquisite Concrete Designs Has Great Concrete Products! Concrete overlays in College Station Tx are made up of cement, some coarse material or aggregate, and polymer resin to enhance the look and efficiency of regular cement and concrete. What are some of the different ways that an overlay can be used? 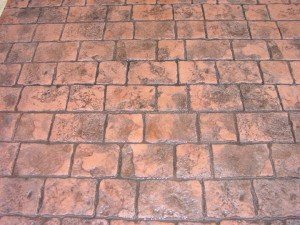 Choose the right concrete overlays in College Station Texas for your project with the help of the professionals at Exquisite Concrete Designs – they know how to design and use this unique surface restoration material! Why should you seek the services of Exquisite Concrete Designs for concrete overlays in College Station TX? Over 10 years of serving the Brazos Valley! Knows how to create a masterpiece with decorative concrete products! Continuing education in the concrete design industry! Pride in delivering top quality work! Exquisite Concrete Designs is your best choice for all concrete overlays in College Station. Call them today at (979) 218-0174 and get your decorative concrete project handled by the best experts in the field!